Can career tests tell you more than you already know? Yes - and an assessment can open doors of opportunity that you didn't know existed. A career assessment is an excellent way to help you make the right choices about your career. A word of caution though. Career assessments will not make decisions for you. Think of the assessment as a tool that you use. You still need to take the feedback and information and make the final decision yourself. Completing a test will give you a better understanding of your skills, interests and abilities. It will highlight career options that you might not have thought about yet. But it cannot tell you what to do. Keep reading to find out more about assessments or jump straight to recommended career tests. you're wondering "what can I do"? Assessments contribute to personal growth as they can reveal information you didn't know about yourself. You can use these insights in your resume or CV when you apply for the job you want. Which career assessment is best for me? Well, that really depends on what you want. 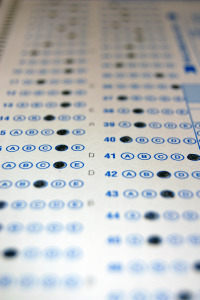 If you're doing a career quiz for fun then many of the free online tests will meet your needs. But if you're taking the career assessment seriously you need to look for a more serious test. Why? Because you need to trust that the test is actually measuring what it says it measures. Of course, you should expect to pay for assessments that are valid and provide expert knowledge. Look for career assessments that promote validity as a selling point. The test should have references to studies published in peer reviewed scientific journals. Review each of my recommended career assessments and choose those that match your need. The Career Key is based on John Holland's theory of career choice and is one of the few web based career assessments that gives information about its validity. I use the Holland codes frequently in my practice for career assessment. The test takes about 15 minutes to complete. Costs $14.95. The MAPP™ career test provides excellent insights into yourself and what motivates you. It provides a professional report that will help you make decisions about the right career for you. The MAPP test provides information about validity and takes about 25 minutes to complete 71 questions. Cost: three packages available starting at $89.95. Use the paid CareerFitter assessment to get a 10-page comprehensive report that includes a list of careers suited to your personality, details of your strengths, areas for development and more. Costs: $11.90 (normally $39.95). Don't forget to get a copy of What Color Is Your Parachute? if you are serious about finding the right career. This best selling book for job hunters and career changers is updated every year and will give you practical examples, instructions, and advice for choosing a career. The free MAPP™ career test: complete the same assessment as the paid version above. The feedback is limited but what's really valuable is the option to match your results against 5 careers you might be considering. Your 5 career choices are ranked helping you to make a decision about the right career for you. Upgrade to one of the packages for a comprehensive report. CareerFitter: This free assessment focuses on your work personality and provides brief information about your career strengths. This is useful to reflect on and use as a template for your current career ideas. You'll need to buy the full career report for more detailed feedback. The Jung Typology Test from HumanMetrics is a useful free test. There are 72 short questions and you get an instant short report indicating your personality type. It also includes a link to a list of careers associated with your personality type. Careerlink Inventory: Measures aptitudes, interests, temperaments, physical capacities, preferred working conditions, and the amount of time you're prepared to give to studying or becoming proficient in the career. This is easy to complete and excellent for opening up many career opportunities linked to your abilities. The assessment gives a percent match to a career area and offers specific ideas within that career area. You'll need to make careful decisions or consult a professional coach or career counselor for further assistance. CDDQ.org: The Career Decision making Difficulties Questionnaire. Career Decision making Difficulties Questionnaire. What difficulties do you have in making a career decision and how can you overcome these? Career Preferences. Do you know what you're looking for in your future career? Discover your career decision making style. A systematic, 3-stage process leading to making a better career decision. Broad prescreening stage, then helps to locate promising career options, and then assists you to get relevant information about the careers. This career assessment provides information about validity, but you'll have to read through a comprehensive Powerpoint presentation in the "for career counselors" area to get it. The CDDQ test is easy to complete and the feedback at the end of each of the career tests is useful. You're given plenty of information and recommendations. Definitely recommended.